Iwo Jima was a critical point on the flight path of US bombers from their Saipan bases to their Japanese targets. The island would be a refuge for malfunctioning or damaged bombers coming or going. An obvious target for a US amphibious assault, the Japanese had reinforced the garrison and dug miles of tunnels the length and breadth of the island. Their goal was to inflict maximum casualties on the Americans to force them to reconsider the seemingly inevitable invasion of Japan. 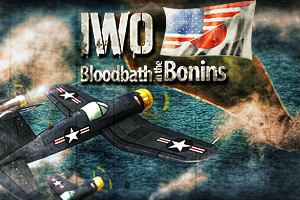 The resulting battle was brutal, even by the standards of the Pacific War. Expansive campaign spanning the battle of Iwo Jima from 19th Feb to 22nd Mar 1945. 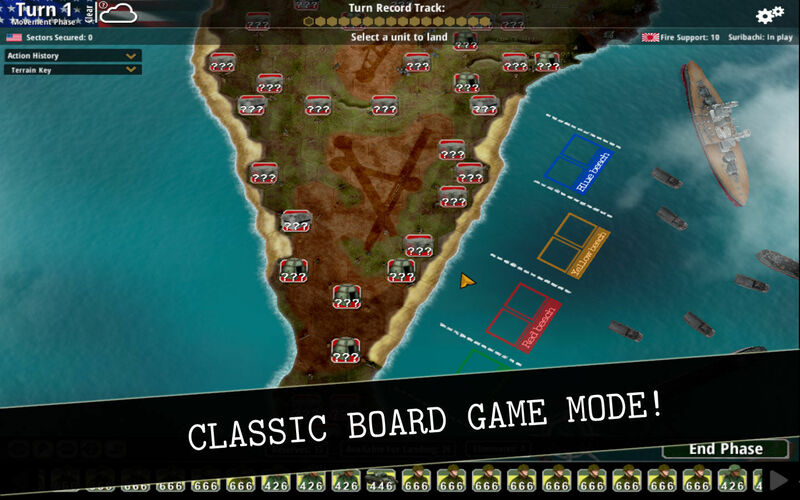 Digital re-imagining of a classic strategy board-game. 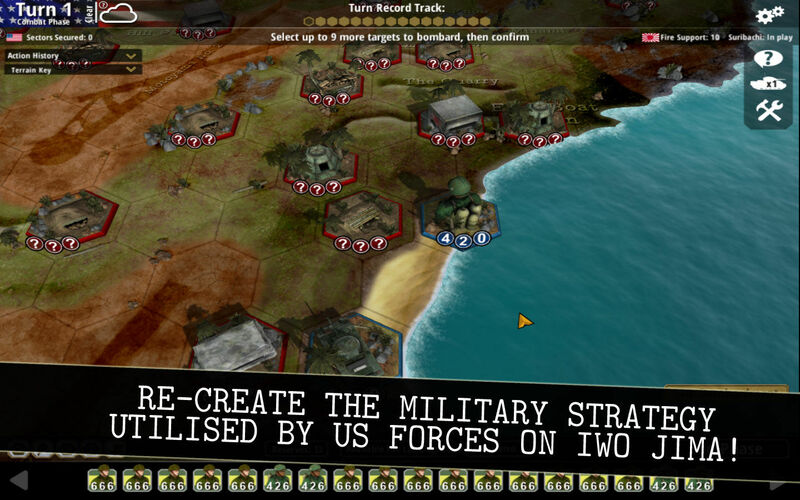 Re-create the military strategy utilised by US forces on Iwo Jima. In-depth tutorial and in-game tips. 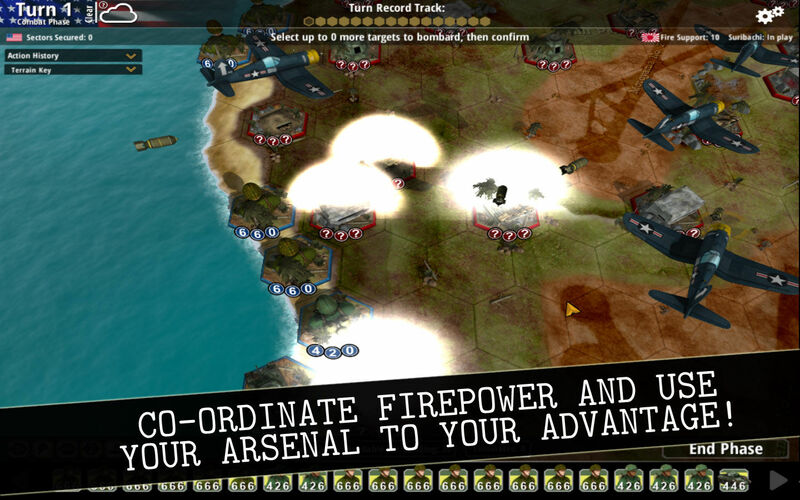 Large Hex-based campaign map which encompasses the entire island of Iwo Jima. Weather system with direct implications on gameplay. Comprehensive information database covering key aspects of the invasion of Iwo Jima. 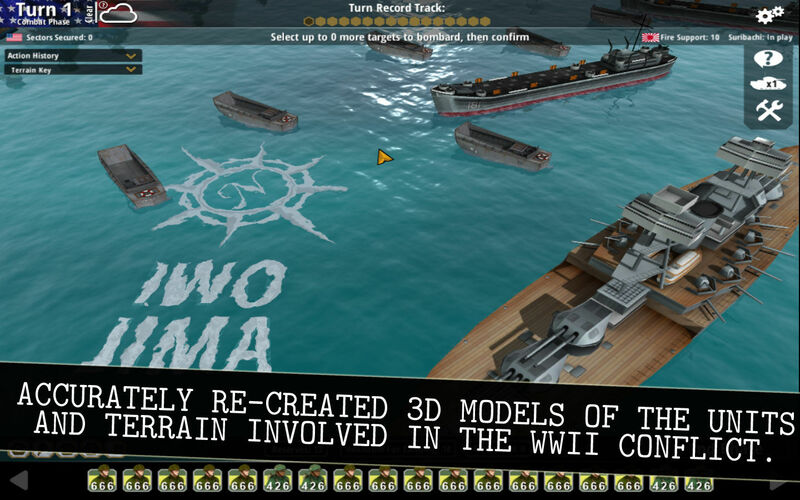 Accurately re-created 3D models of the tanks, planes, battleships and bunkers involved in the WWII conflict. Adjustable zoom allowing classic board game mode with digitally recreated counters, or get close into the action with detailed 3D models.